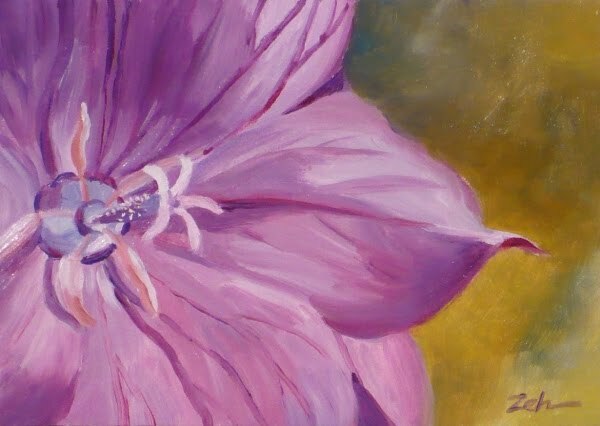 A close-up of a flower can give the painting an abstract quality. Until seeing this balloon flower in such detail, were you aware of the colors and patterns at its center? Balloon flowers are so named because their flower buds before opening look like hot air balloons. Once opened, they are a favorite of hummingbirds. This painting is sold. See more of my art for sale at zehoriginalart.com. Thanks and have a pleasant day.